Offering you a complete choice of products which include turbochill tubes for chillers. 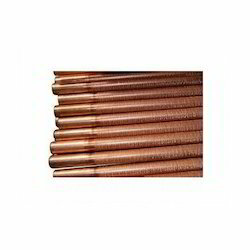 We are the main manufacturer, exporter and supplier of perfect quality end Cross with Turbochill Tubes for Chillers. The offered tubes with turbo chill tubes are composed and made utilizing finest quality crude material and forefront innovation in complete consistency with worldwide quality models by our gifted experts. So as to convey faultlessness, the offered turbochill tubes are stringently tried. Looking for Turbochill Tubes for Chillers ?